Spent some time this week following a thread in a group on Facebook. I say this mainly because it allowed some nostalgia to flow and reminded me of things I hadn’t thought of in a long time. What I am talking about is movies. In this case it is older movies that might not have been popular but you still love them. And if you had never noticed, I tend to love a number of possibly obscure movies (no this isn’t a hipster thing, I just remember a time when I spent a good portion of my time going to movies). See, when I was growing up, a number of the theaters around us had 99 cent movie nights. I would be amazed if you could find somewhere like that now, while running first run flicks. It just doesn’t happen anymore. And you know, at this time, movies were something worth spending time with. We could look back and think that maybe there wasn’t as much competition and what not. But I think that is a bit irrelevant. The block buster chain we are running through now has made the whole thing what it is. But I digress, because that isn’t the point I am aiming for in here. At least not entirely. Main thing I am going through in my mind is nostalgia for an old Willem Defoe flick, Streets of Fire. I loved this movie. There is so much of it that is still with me now. But without going too deep into it (I need to see it again to get deep into the flick itself), I realized something else. This is one that came from a time when music was still being created specifically for the movie. Yeah, you might find a few that have songs created for the show, with interesting sound tracks and such. But really, more often than not it feels like (at least to me) that quite a bit of the music is canned and bought from stuff with meaning outside the movie. Well, unless you’re Disney, but that is something else entirely. Which we bring this back a bit. Streets of Fire claimed to be a rock and roll fable. 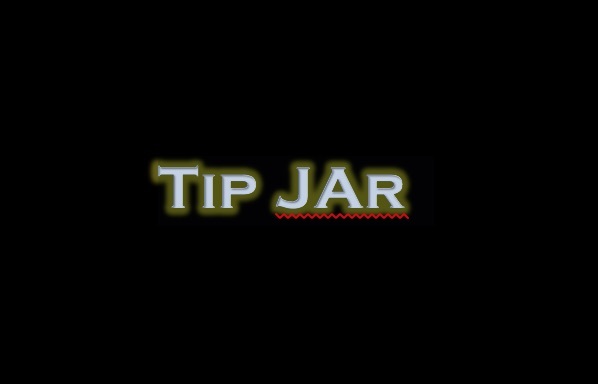 This splayed across the screen at the start of the flick. The music and the mood all played as much a part of the story as the characters. Even now, when you do a Youtube search for sound track music, you find the videos with movie footage that play as concert footage because that is how they played in the movie. Everything fit and everything made sense. I still love the music from this one. Which brings me to something that is the complete polar opposite. 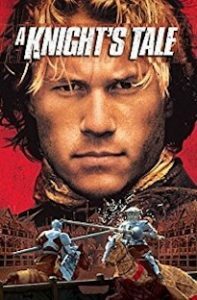 A Knights Tale was a Heath Ledger show about a poor man fighting to raise himself above his station. I love the story in this one. There are so many moments in the dialogue and interaction that make perfect quotable moments. And then the music happens. They used modern music, stuff that has a life of its own outside the confines of this movie. This wouldn’t have been bad. I mean, when the song The Boys are Back in Town kicks in, it fits the mood of that point in the story. I felt it a great moment in time. But there are so many other points in the story where the characters are interacting with disembodied music that doesn’t make sense for the time and place of the story. For me it was a distraction and downgraded a movie I thought would have been solid without it. So, I sit here, pondering the way the two stories play out. I really liked both of them. I actually have a copy of A Knight’s Tale. 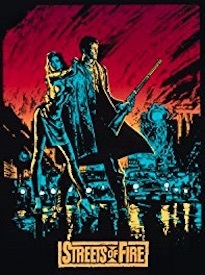 Sadly, I did some searching for Streets of Fire and I may have to pick it up through Vudu. I want to see if it holds up. Granted I have a feeling it will account for itself. After spending a bit digging through the music on Youtube, memories from a forgotten time were solidified in my mind. Nostalgia takes you down some strange roads.